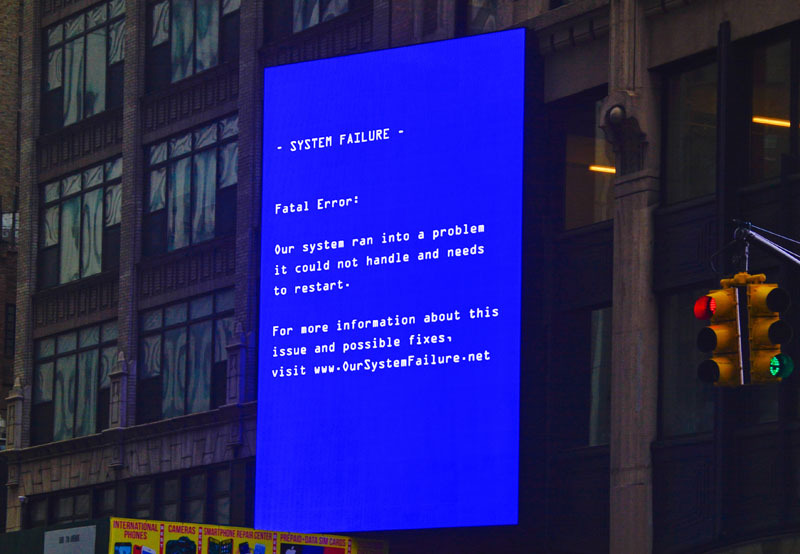 Our System Failure is a public art project and online educational resource. It occupies advertising space, normally used by corporations to persuade individuals to spend their money on consumer products, to instead reflect on how we as a society allow our money to be spent. Drawing comparisons between the civilian and military budgets, by juxtaposing component parts from the medical and armaments industries, it is an open invitation to rethink our economic priorities and envision a more just and equitable system for distributing public wealth. 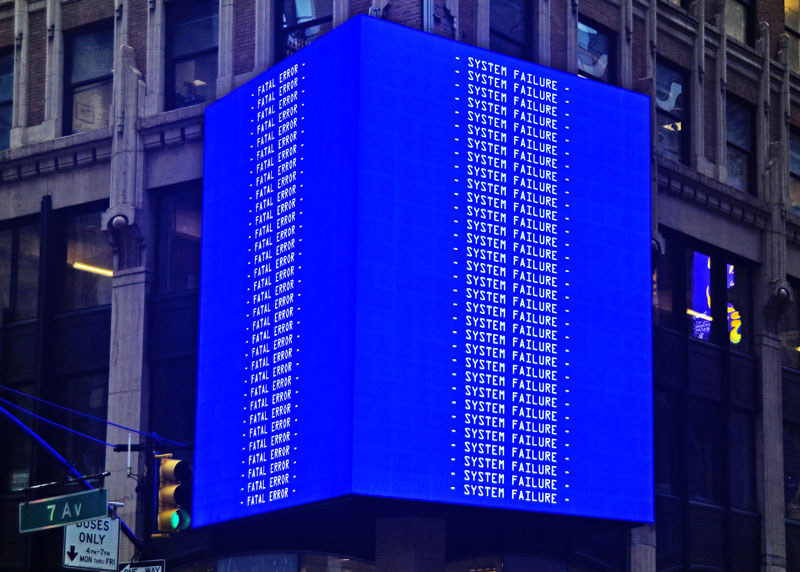 Our System Failure is a collaboration between artists David Birkin and Mariam Ghani. 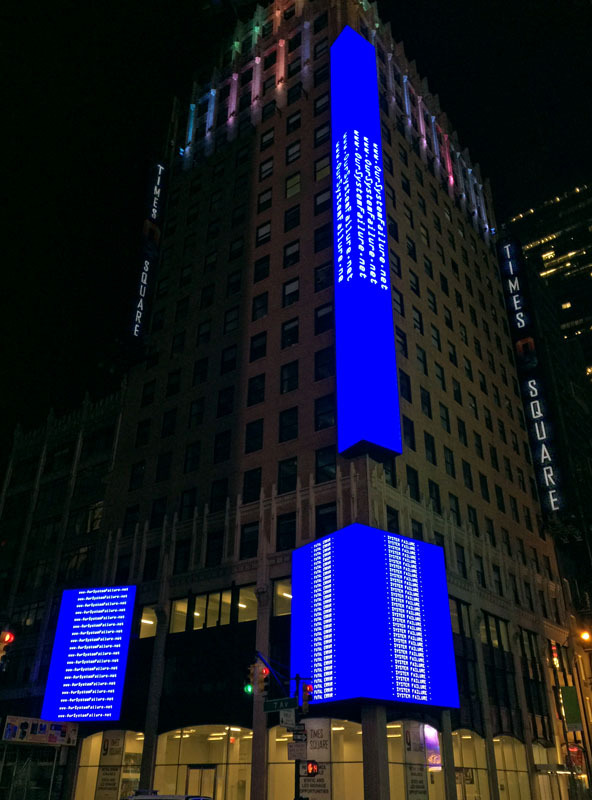 Its first iteration was presented on digital billboards located in Times Square, New York, from April 17 to 23, 2018.